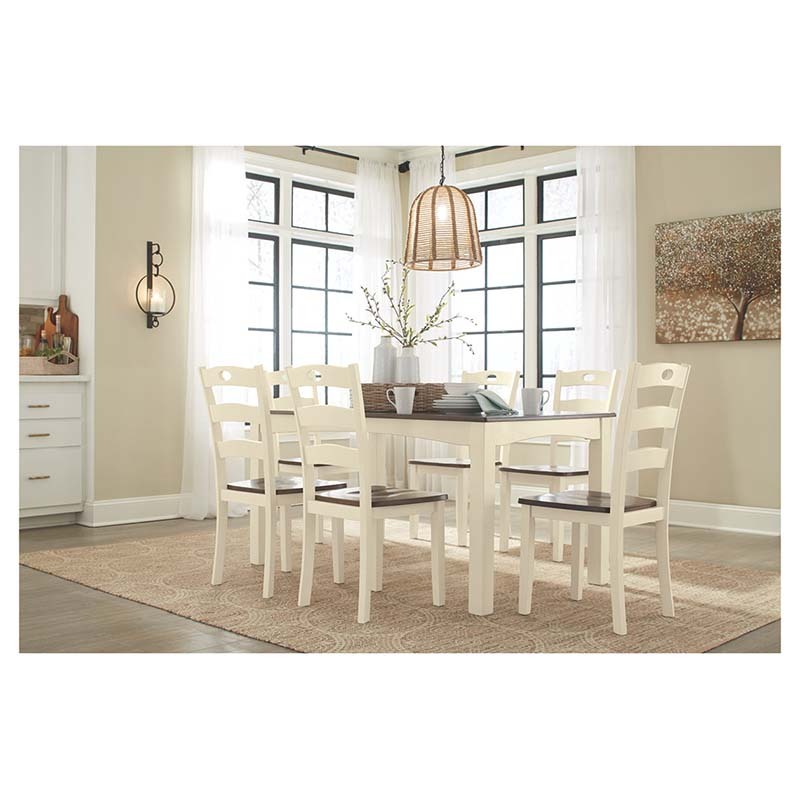 Replicate the charm of your favorite Bed & Breakfast with the cottage-chic Ashley Woodanville 7-Piece Dining Set. It features a classic, two-toned finish. Set includes 1 table and 6 ladderback chairs.